1. When you open Windows Live Mail for the first time you will see a window like the one below. 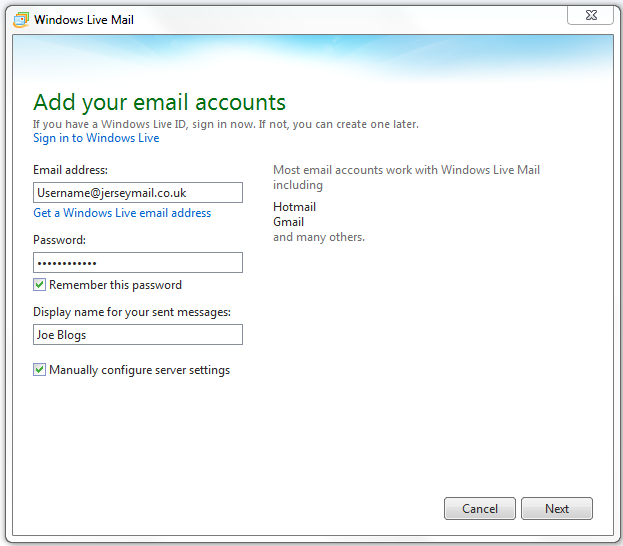 Simply enter your email address and password and check Manually configure server settings then click next. 2. 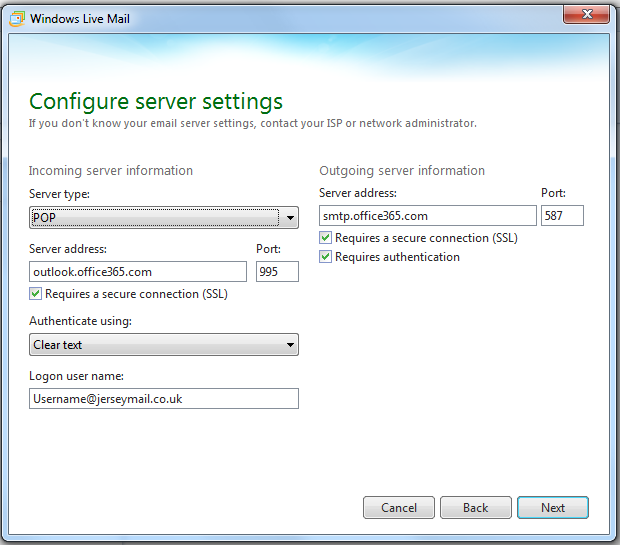 Enter the server settings as displayed in the image below making sure to replace username@jerseymail.co.uk with your email address.